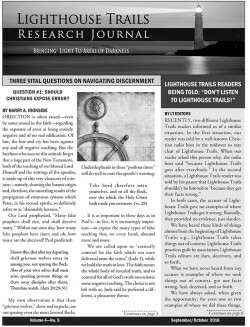 This package is all 6 issues of the Lighthouse Trails Research Journal for the year 2016. The price includes shipping (no extra mailing costs). This package is all 6 issues of the Lighthouse Trails Research Journal for the year 2017. The price includes shipping (no extra mailing costs).